We had a brief break during the hollidays but then focused to get this next release out. 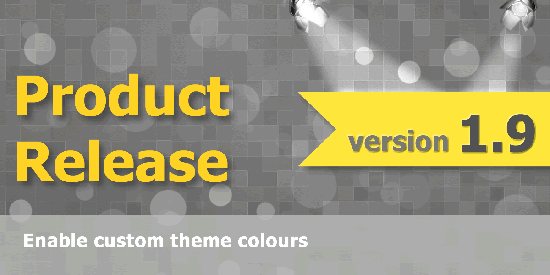 The main new feature is that you can now select your own theme colour. By default the theme colour is yellow but inside "Settings" you can change this to another theme colour and the theme will be updated with this new setting. We have an exciting year ahead with tons of releases with excellent new features & enhancements. Please review our roadmap in the support section and don't hesitate to post some topics with any features you would like to see added.